If you are looking to buy a midsize sedan, you cannot go wrong with the 2019 Honda Accord Hybrid Available near Seattle at Klein Honda. Its polished driving dynamics, its upscale interior, its handsome exterior and interior styling, and its innovative tech features also make it a truly compelling choice. The 2019 Honda Accord Hybrid Available near Seattle comes equipped with a hybrid powertrain that pairs a 2.0 liter i-VTEC® Atkinson-cycle inline-four gasoline engine with an electric propulsion motor. The 2.0 liter gasoline engine produces 143-horsepower and 129 lb-ft of torque. The electric motor, on the other hand, develops a healthy 181-horsepower and 232 lb-ft of torque. The 2019 Honda Accord Hybrid boasts a combined power output of 212-horsepower, which is enough to propel it from zero to 60 mph in just 7.1 seconds. In terms of fuel efficiency, this car’s hybrid powertrain achieves a rating of 47 mpg in the city and 47 mpg on the highway. This is made possible partly by the fact that the gasoline engine achieves 40-percent thermal efficiency. You can make this car even more fuel efficient by engaging its EV (all-electric) mode when you are driving at low speeds over short distances. The 2019 Honda Accord Hybrid Available near Seattle also boasts an intriguing selection of tech features. It comes equipped with a smart entry system that enables you to lock or unlock the front doors without having to fish any keys out of your pocket. This system also has a Walk Away Auto Lock® feature that automatically locks the doors for you when you start to walk away from the car without having locked the doors. This car also comes equipped with a dual-zone automatic climate control system that maintains the temperatures that you set by continuously heating and cooling the cabin. It also features a 160-Watt 4-speaker audio system that comes with a seven-inch high-resolution touchscreen. This system offers Bluetooth® connectivity for hands-free calls and audio streaming as well as Pandora® compatibility. 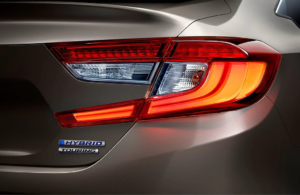 You can get to see the 2019 Honda Accord Hybrid up-close when you come to Klein Honda. We can even set up a test drive for you in it. We are located at 10611 Evergreen Way, Everett, WA 98204, and you can also call us at 877-856-2475. 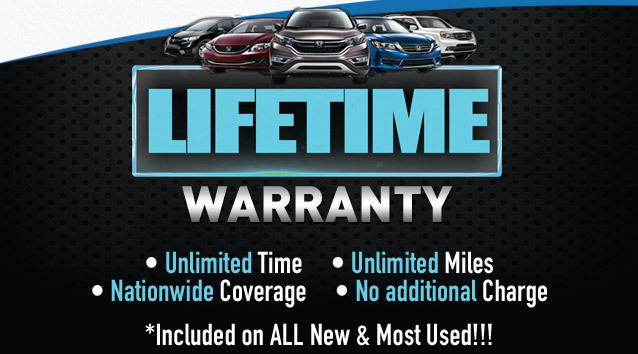 Klein Honda is an officially licensed Honda dealership that you can count on.